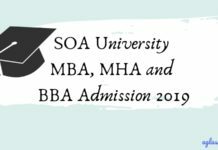 MICA FPM-C 2019 – Mudra Institute of Communication (MICA) has released a notification for admission into MICA FPM-C 2019 through a Written Examination for the academic year 2019-2022. Candidates those who will satisfy the eligibility criteria will be able to fill their Application Form for MICA FPM-C 2019. The application form available online. Candidates can fill the MICA FPM-C application form from the official website mica.ac.in. It is requested to read all the instruction before filling the application form or take any action. 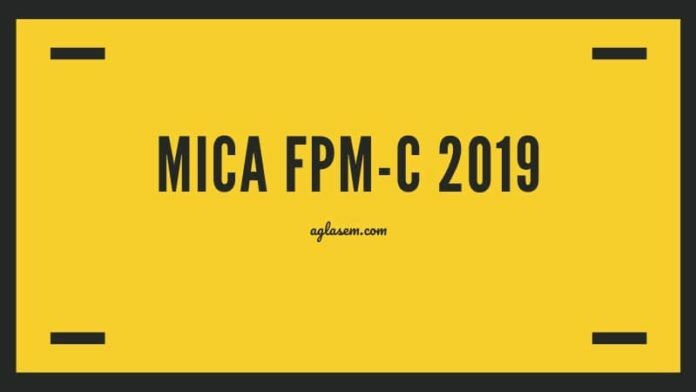 All the relevant details of MICA FPM-C 2019 like application process, eligibility criteria, selection procedure are given on this page below. Latest: The final merit list of MICA FPM-C 2019 has been released. Candidates can check the same from the link below. Candidates seeking admission into FPM-C 2019 can fill their Application online form as it is released online. Selection to the programmer will be based on the performance in the FPM Admission Test, Consistent academic performance from 10+2 onwards and Professional work/research experience in media and communication. Schedule for the MICA FPM-C 2019 is given below. Telephonic screening interviews To be announced! Admission Test on campus To be announced! Declaration of result To be announced! Admissions close To be announced! Session begins To be announced! The University has declare the result for MICA FPM-C 2019 on its official website. The result is now available in the form of the merit list. In the result list, the names of the candidates are enlisted in an ascending order according to the marks secured in the entrance examination. After the result announcement, qualified candidates will be called to appear in the further rounds of the admission process. Result Click here to check the final merit list for MICA FPM-C. Candidates must check the eligibility criteria before applying to appear in the MICA FCM-C entrance exam for the following academic year. The application invite of any non-eligible candidate would not be accepted by the conducting body in any circumstances. Candidates must have a Post Graduate/Master’s Degree/equivalent qualification with minimum 55% marks or equivalent grade in the field of Management/Communications/Humanities/ or Social Science. Knowledge and experience in Marketing, Media, Public Relations, Advertising and/or Journalism will add an advantage. The candidate should also have a Bachelor’s degree/equivalent qualification after completing higher secondary (10+2) or equivalent from any recognized University. The Bachelor’s degree can be from any discipline (Engineering/ Science/ Social Studies/ Arts/ Commerce/ Communication/ Management/ or Media). The candidate must have secured at least 55% marks or equivalent grade in the Five-year Integrated Masters Degree programme from any discipline of Management/Communications/Humanities or Social Sciences. The qualifications must be recognized by AICTE/Universities/Deemed Universities. The candidates who belong to the Foreign nationals and NRIs with non-Indian degrees are also eligible to apply for the concerned programme. Foreign nationals and NRIs with non-Indian degrees that are considered equivalent (by UGC/AICTE) to the qualifications listed above are also eligible to apply for the programme. An NRI is an Indian who as of April 2019 is working or studying or residing outside India for at least past 12 months continuously. Application form for MICA FPM-C 2019 is available online at www.mica.ac.in. 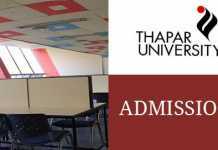 The application form is an integral part of the admission process. Information that will be provided by the candidate on the application should be correct and authentic. Admission granted on the basis of incorrect information will be ipso facto null and void. Candidates are advised must ensure their eligibility and read other conditions before filling the Application form. Apply Online: Click here to apply online for the MICA FPM-C 2019. Two letters of recommendation in the prescribed format are required to be sent in sealed envelopes. Blank forms for recommendation letters and the instructions to fill in and send them can be downloaded from the official website once it is available. The Institute issues the hall ticket to the appearing candidates for the MICA FPM-C examination. The admit card will be available online at University’s website. To access the hall ticket, candidates have to login by providing the details such as User Id and password. No Admit Card will be sent to the candidates by post or in person. However, the admit card consists of the details printed on it such as roll number, exam centre name and address, important instruction and many more. At the exam centre, candidates have to bring the following documents else they would not be allowed to give the entrance. 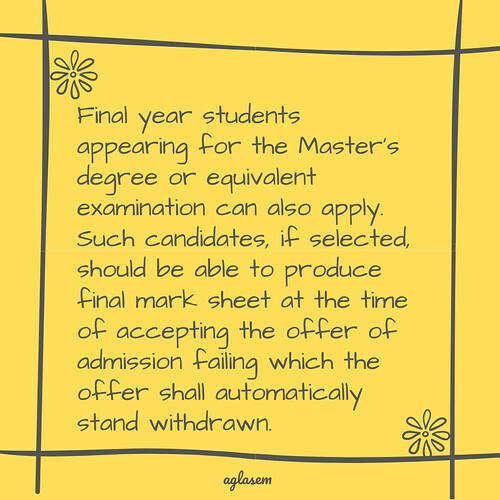 Aspirants who want to take admission in the Mudra Institute of Communication, Ahmedabad in the Fellow Programme In Management – Communications have to clear the prescribed rounds. These rounds are mentioned below. Stage 1: Telephone interviews for eligible candidates. Stage 2: Shortlisted candidates appear for MICA’s FPM Admission Test. FPM Admission Test is a two-day process organized at MICA campus comprising of Written Test (WT), Group Discussion (GD), Individual Presentation (IP) and Personal Interview (PI). Candidates appearing for admission test will be provided lodging and boarding on MICA campus. Day 1 Written Test (WT) In this test, the Institute will examine the candidate’s theoretical understanding, ability to determining the communication phenomenon and interpret data and draw conclusions. WT will be descriptive in nature and is based on prescribed readings. Candidates shortlisted after telephonic interviews will be sent prescribed readings via email. They are required to read them critically. Candidates may bring copies of the readings to the WT as this is an open-book exam. Day 2 Individual Presentation (IP) Here, candidates have to make the presentation based on the submitted research proposal. They will be given 15 minutes to present to a panel of experts. Day 3 Personal Interview (PI) Personal Interview will follow the IP where a panel of experts will assess the candidate’s personality and passion for research. For more details regarding the MICA FPM-C Admission 2019, Download Information Brochure.